Vice President Pence told U.S. troops to “stay sharp” and “be ready” on Friday in the face of an increasing threat from North Korea. “Now more than ever your commander-in-chief is depending on you to be ready. Stay sharp, mind your mission,” Pence said at Minot Air Force Base in North Dakota. “Anyone who would threaten our nation should know that America always seeks peace, but if we are forced to defend ourselves or our allies, we will do so with military power that is effective and overwhelming. And those gathered here at Minot Air Force Base will play a critical role again,” he said. The base would play a critical role in the face of an attack, as it houses 26 B-52 bombers and 150 intercontinental ballistic missile (ICBM) sites. Read more . . .
Public Support for US Military Remains High, but . . . In the 21st century, America has lost its trust in institutions. A quick perusal of Gallup’s data shows that trust in every major national institution has been on the wane since 2000. Except, of course, for the military. As of this year, Gallup reports that 72 percent of Americans polled had a lot of confidence in America’s armed forces. Read more . . . The brain-tissue biorepository (the VA National PTSD Brain Bank) supports research on the causes, progression, and treatment of PTSD. The bank is responsible for tissue acquisition and preparation, diagnostic assessment, and storage. 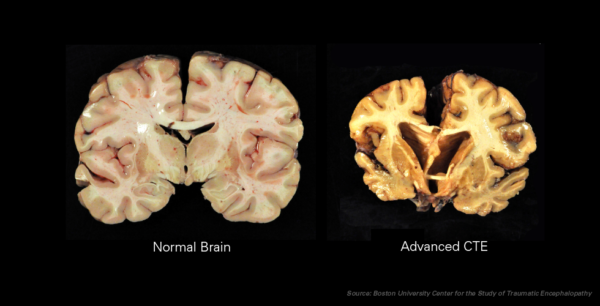 It’s currently storing tissue from 168 brains, most of which are from people once diagnosed with PTSD. Many of the other donors had major depressive disorder. Other brains are from healthy controls. More than 40 of the brains are those of veterans, about 75 percent of whom had PTSD. Most of the veterans who donated brains to the bank served in the Gulf War. Read more . . . Researchers have known for a while that stress can play a major role in the gut microbiome, affecting bacteria growth and eventually leading to inflammation and mental-health issues like depression and anxiety. But a new study took things a step further, discovering a bacteria trio that might also function as a diagnostic tool for post-traumatic stress disorder (PTSD). “Our study compared the gut microbiomes of individuals with PTSD to that of people who also experienced significant trauma but did not develop PTSD,” said lead researcher Stefanie Malan-Müller, PhD, in a press release. “We identified a combination of three bacteria—Actinobacteria, Lentisphaerae, and Verrucomicrobia—that were different in people with PTSD.” In the study, those with PTSD had much lower levels of the three bacteria varieties than those who experienced trauma but didn’t develop the disorder. Additionally, those who dealt with trauma in their younger years had low levels of two of the three types as well. Read more . . . The Government Accountability Office will review the way the Department of Veterans Affairs treats patients who suffer from post-traumatic stress disorder (PTSD) and other combat-related conditions. At the request of Reps. Mike Coffman, R-CO., and Ann McLane Kuster, D-N.H., the government’s top watchdog agency agreed Sept. 27 to study how heavily VA relies upon powerful psychotropic drugs to treat patients. Both Coffman and Kuster have received numerous complaints from veteran constituents, who contend that VA relies upon psychotropic medications far too often. Both lawmakers, and their colleagues on Capitol Hill as well, are concerned that use of the medications could be a contributing factor to the alarming rate of suicides among veterans. They cite the cases of two Colorado veterans who were prescribed the drugs by VA. One later committed suicide and the other was reported missing for several days. Read more . . .
How Does Your VA Medical Facility Rank? Many of the worst VA hospitals in the country last year remain among the worst this year, according to internal rankings released Wednesday by the Department of Veterans Affairs. Nearly a dozen of the medical centers who received one out of five stars in quality ratings this year received the same low score in 2016. They include three veterans’ hospitals in Tennessee — in Nashville, Murfreesboro, and Memphis, where threats to patient safety have skyrocketed in recent years. Also among them is the Phoenix VA, where veterans died waiting for care touching off a national scandal in 2014. Read more . . .